I recently took out the Furnace protection plan from Reliance home comfort. The price per month is quite reasonable considering the cost of parts to fix your furnace. Included in the package was a annually furnace tune up. I booked appointment with the Burlington office. The technician was running late but did call to say they would be there soon. The technician performed a check list of the furnace and answered any questions or concerns. Upon entering our house he did identify himself and showed proper id. He was very personable, knowledgeable, and professional. I would recommend their service to any friends and family. Sorry but i forget the technician's name but it was the Burlington branch team member #0660. I found Oliva carpet cleaning from a posting on a Facebook page. Called customer service and spoke to Kim. She explained a little about the owner Olin and gave prices over the phone on what services I needed. They were very accommodating on the day and time to book service. I received an email confirming my booking. Kim was excellent on making this part of the service go smooth. A phone call the day before appointment to confirm nothing has changed. The afternoon of the carpet cleaning the owner Olin called to state that he would be there on time. Once in the house Olin went straight to work addressing any problems with the carpet. He completed our three bedrooms, hallway and stairs and did a fantastic job. We are very happy with the job that Olin did on our carpets. Even though this company may be smaller in size they make up for it in complete customer satisfaction. There is a reason why Olin and his company have great reviews on many sites. Check them out from happy customers. Also if there is a problem your one phone call away to speak directly to Olin. He takes pride in doing the best possible job for you. I would recommend this company to all my friends and family. I had a tear in the drivers seat on a 2010 Mercedes. I found Color Glo Mississauga that could fix the tear. I emailed the owner Zibby some pictures of the area and he got back to me with a firm quote for the repair. Zibby came to my place of work to do the job which was very helpful rather than leaving the car at other places. He was very knowledgeable and professional and did an amazing job. I would highly recommend Zibby at Color Glo Mississauga for any of your home and auto repairs that you think can't be fixed. Check out their web site for before/after photos. Hello John, wow what a wonderful review and amazing words! 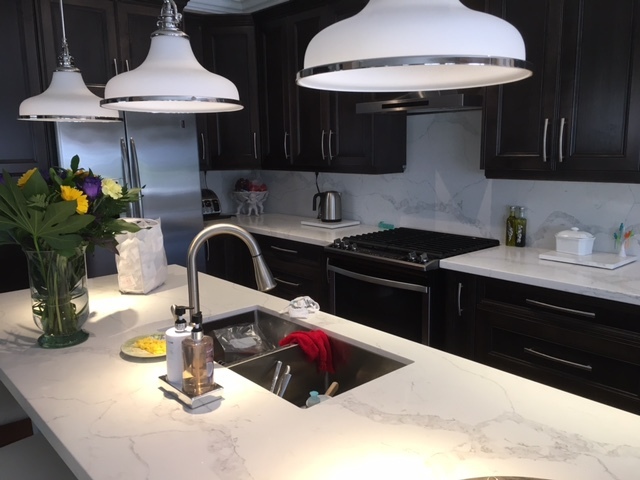 We are truly happy to be your pick for your kitchen refacing, you were great to work with and it was a pleasure making your kitchen "new" again :) Thank you for taking your time filling out this review and we are a phone call away if you need anything at all in the future! Thank you John...it was our pleasure working with and wish all customers were like you!!! 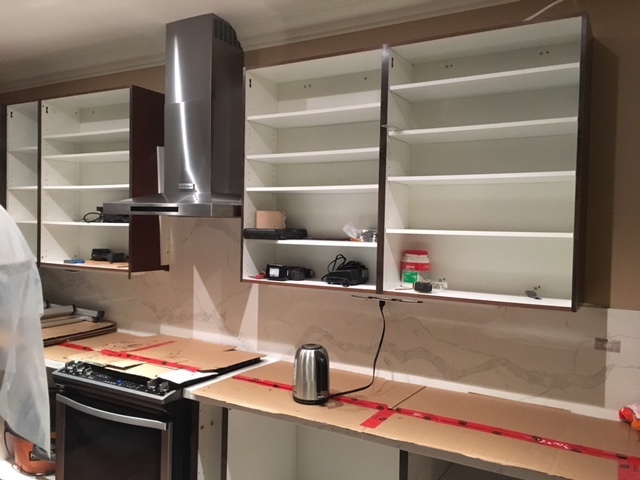 Was doing a kitchen renovation recently and wanted to purchase some slim led under cabinet lighting. After searching on many sites I found Lid design store in Mississauga. The manager Jimmy was a polite, friendly, and very knowledgeable sales person. He took time to find out what products you needed and explained in detail on each on. There's no up selling with Jimmy just great precise customer service. 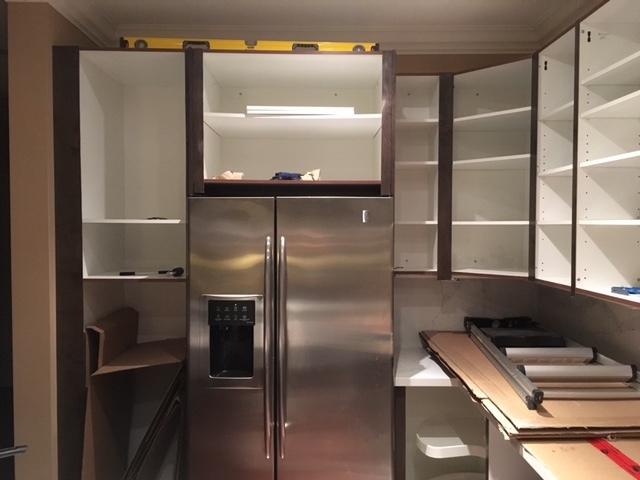 The store offers diy projects or can arrange for installation. One item I purchase was out of stock but Jimmy delightfully said he would deliver to my home. Store has many options for lighting than other stores carry. For my purchase of under cabinet lights Jimmy explained how simple it was to hook up and I decided to install on my own. After only two hours I had all my lights installed and they look amazing. 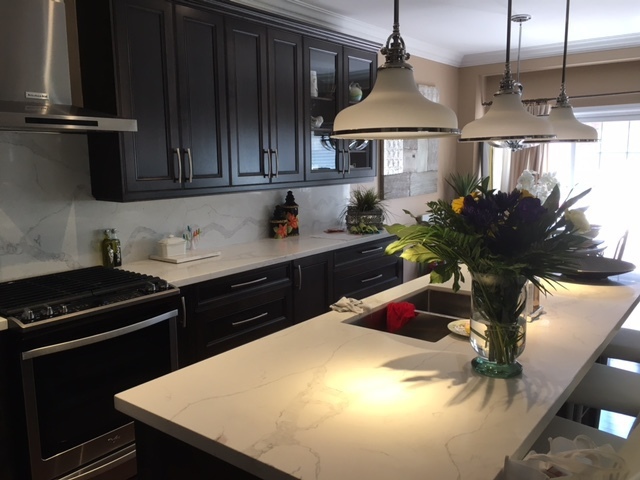 If your looking for led lighting make sure you check out Jimmy Hamilton at Lid design Mississauga.... he's there for all your lighting needs. Hi John, Thanks for commenting. We appreciate you coming in. Dropping off lights for you is the least we can do. 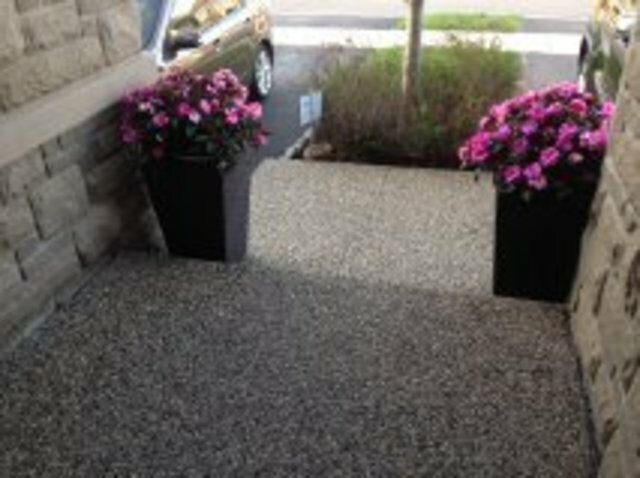 We recently had Pro Concrete complete our front landing and steps with exposed aggregate.I decided to call them after seeing what a terrific job they had done on a house down the street. My initial meeting was with George who came on time and listened carefully to what I wanted done.Within 15 minutes I had a drawn up quote along with a beauitiful coloured brochure. The brochure had addresses in the area that you could go and see the previous jobs that had been done. Because of on going revovations that were not completed at my home I wasn't able to get the job started before winter came. I had told their office to please call me first thing in spring when your ready to start. Beginning of spring I got a call from them and we set up a time to start. An appointment with Silvio the owner was arranged to discuss the final preparations. 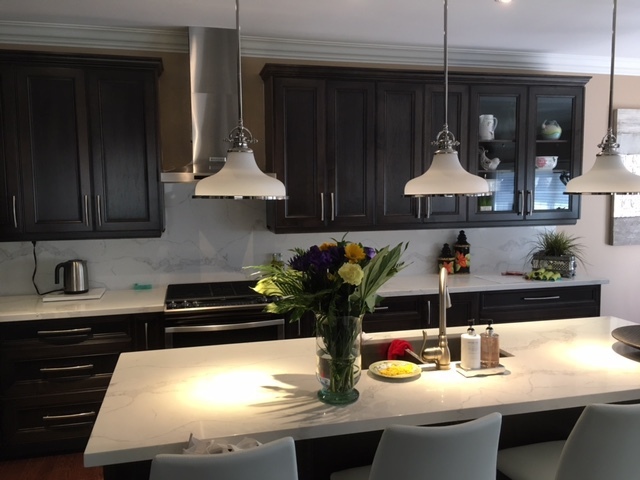 Silvio was very professional, knowledgeable and runs a credible family business with pride in their workmanship. All the workers from the excavation, forming and pouring crews worked fast and efficient. They always left the work area secure and tidy. Consideration to neighbours cars and property was always addressed before starting each morning. 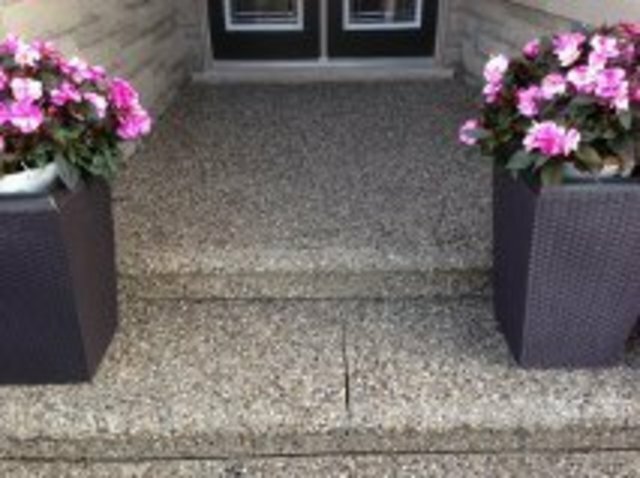 To make sure that the customer is totally happy with their job Pro Concrete doesn't even ask for any deposit until after the work is completed. Any small repairs are done quickly and efficiently. Our front landing and stairs just got the sealer applied to them and it looks absolutely amazing. If your looking to do any sort of concrete work at your home, read your Homestars reviews.This company always gets high ratings. 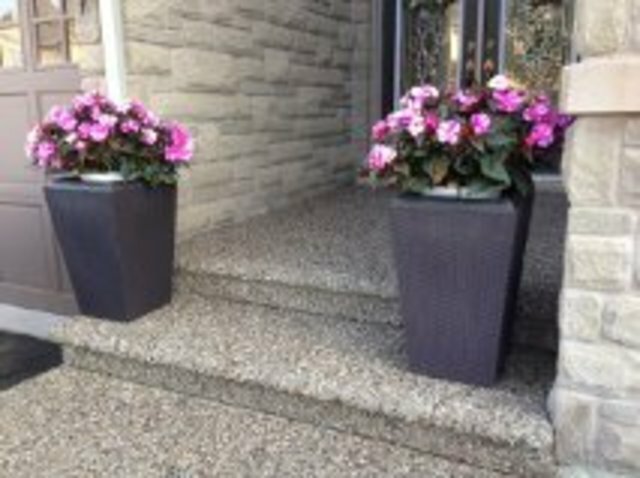 Pro Concrete is a professional business for over thirty years. Meet with their sales staff and take a look at their work. Also visit their great web site for info and pictures. Don't waste time looking around for the cheapest price because that's what you will get. If you want a professional company that treats you with respect and appreciates your business there's only one choice Pro Concrete. Thank you Silvio and all the staff it was a pleasure dealing with you. Thank you so much for taking the time to touch on so many aspects of our company. It's great when a customer see's the effort we truly put in. Thank you again!! I had used New Age Security to install a home alarm system and monitoring in a previous residence. After moving into a new house that didn't have a alarm system I knew that I had to call NAS to do the job.This is a great family run company.They treat you the same if your account is big or small. They do everything inhouse....no selling off the accounts....contracting out installs. You have questions about products and services, Rino & Joe can answer all your questions.They are both knowledgeable, offering the latest in security solutions.Very professional and polite.The installation of the system went excellent.Phil our installer did an amazing job installing all the alarm components, like it was always there.Years of experience and professionalism make a huge difference when your installing security systems. Phil explained everything so we were comfortable using the new system. Thank you Phil for a great job.If you looking for a reliable security company that can install an alarm system and provide competitive home monitoring rates New Age Security is your only choice.Read other customers Homestar reviews... you can see why this company has a 10 rating. We really appreciate the review! Always a pleasure dealing with you! We recently moved into a new home. In the master closet it had those ugly wire shelving to hang your clothes on. Before even moving in I had taken measurements and layout of the area. 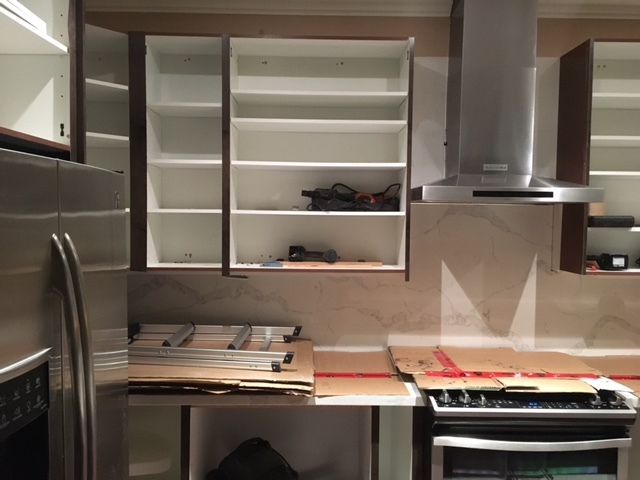 This is one area I wanted to get completed right after moving in. I searched for 3-4 closet organizer companies. Two companies wanted me to come into their showroom, one other wanted to quote on the phone. I had e-mailed Adrian from Top Shelf telling him my situation and asking for a design and quote. Within 48 hrs I had drawings of my closet along with a price. Pricing was very competitive and pictures of previous jobs looked good.I asked Adrian the owner if he could come by and bring some samples of products used. Within a few days he had come to our previous address with samples for us to see. Adrian was friendly, courteous, and very professional. At this point we set up a work order for an install date right after moving in. The morning of the install Adrian and his worker showed up on time and installed our new closet organizer. Within a few hours the job was complete. 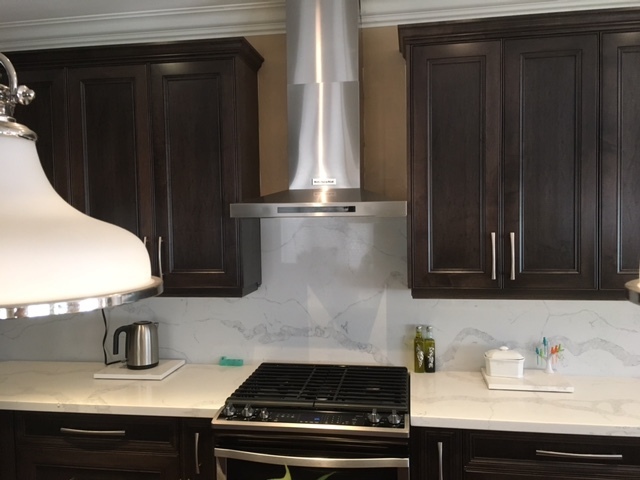 The quality and workmanship is excellent. The smallest detail like caulking around the baseboards that were cut wasn't missed. Everyone that has seen the new organizer just loves it, as we do. 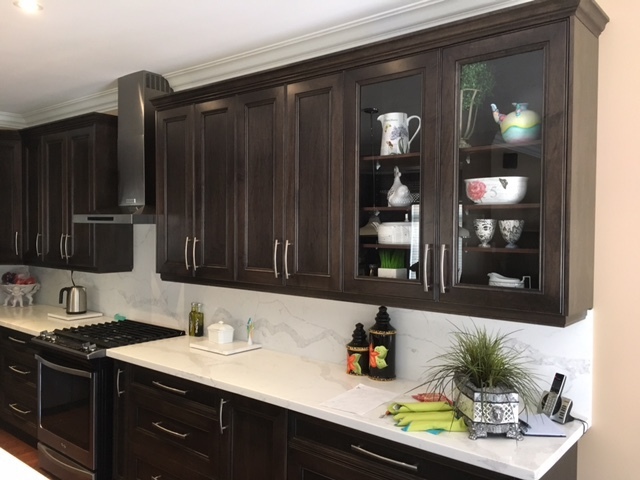 You can buy those cheap products from the big box stores, and try to install it yourself, but if your looking to get a custom made product to suit all your needs look no further than Adrian Podgorski from Top Shelf Organizers. 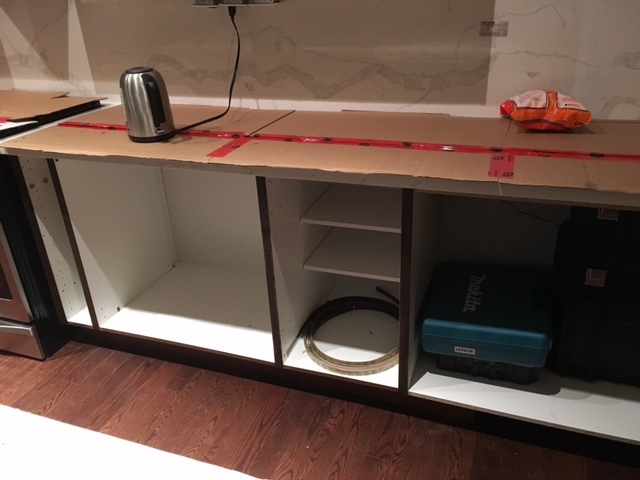 Were getting Adrian to make us a custom storage vanity for our washroom since were very happy with his product and service. I recently used the services of Tender Touch Moving for my home move. I searched at least a dozen moving companies before choosing Tender Touch. Reviews from Homestars was very helpful. My first contact was with Maria who was very helpful in planning out what I needed and helping to keep costs down. She recommended that I get a second truck because of the amount of items I had to move.I really thought I would only need one truck, I was totally wrong. Thanks Maria for that. A phone call or e-mail from Maria on any changes to our move was nice. On moving day the crew came in and started to cover my stairs,railings and wrap all of my glass items up. We have to give a big thanks to our movers Phil, Pedro, Nick, and Vess. These guys were amazing movers. Very careful, yet fast. There was no stress to deal with during the move. We worked these guys hard over 12 hours total. My wife keep on giving them water and feeding them to keep them going. I could not believe how hard these guys worked. Phil packed up all my glass so nothing would break. Pedro did an excellent job loading everything tight into the truck.Nick had the energy of three people and didn't stop.Overall the move went perfect. I've moved six times over the past thirty years and if you want a competitive, professional move really consider Tender Touch. Thanks for all your positive feed back.